Description: MEC GP7s lay over at Rockland. Date approximate. 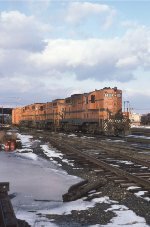 Description: Maine Central Railroad GP7 580 at South Portland, Maine on an unknown day in May 1980, Kodachrome by Chuck Zeiler. 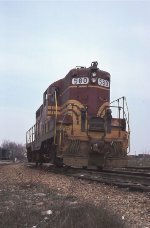 Description: Maine Central Railroad GP7 580 at South Portland, Maine on an unknown day in May 1980, Ektachrome by Chuck Zeiler.